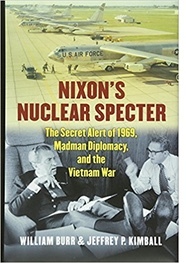 Among many other publications in American history, Jeffrey P. Kimball is the author of four books on the Vietnam War, the latest, Nixon’s Nuclear Specter (2015) is co-authored by William Burr. 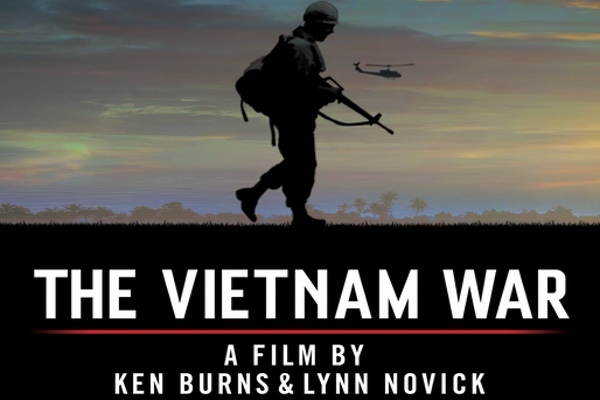 In their sprawling documentary of the Vietnam War, producer-directors Ken Burns and Lynn Novick provide ample coverage of the personal stories of US and Vietnamese participants in the war and of some of the major battles. But their treatment of diplomatic, political, international, and other important facets of the war leave something to be desired. On several issues and topics, for example, they have failed to incorporate important elements of the latest research while also fudging and hedging historical issues that remain controversial today. My major criticisms of their TV history are fourfold. Their treatment of the origins of Vietnamese anti-colonial nationalism and the First Indochina War – also known as the French War (1946-1954) – is sketchy. Their coverage of the emergence and evolution of the US antiwar movement during the Second Indochina War – also known as the American War (ca. 1954-1974) – is inaccurate, disjointed, incomplete, and fundamentally negative. Their narrative about the Richard Nixon phase of the war, as well as the Vietnam War’s denouement in 1975 under President Gerald Ford, repeats historical myths and misconceptions that have long been debunked. In particular, Burns and Novick mischaracterize Nixon’s and Ford’s policy goals, Nixon’s and Henry Kissinger’s diplomatic and military strategies, the fundamental issues at stake in the Paris negotiations, the purposes and consequences of the 1972 “Christmas bombings,” and the causes of the fall of South Vietnam in 1975. In addition, they omit the baneful political legacy that Nixon fostered by blaming others for the US defeat in Vietnam. Fourth, my main focus in this review centers on Burns’s and Novick’s treatment of a crucial question that Americans pondered during the war: the highly-important matter of the causes of US intervention in Vietnam. Why were we there? Why must young men have had to go to Vietnam to fight, and die? Why was investing American lives and treasure in a brutal and costly faraway conflict more important than solving our own critical domestic problems? Put another way: What led the United States government to assist the French during the First Indochina War? Why did Democratic and Republican governments from Truman to Nixon escalate the US role in Vietnam? Yes, US involvement in Indochina in 1945 was partially if not mostly secret in its purpose but ceased being secret by 1950 when President Harry Truman announced formal US support for the French. Yes, many key US decision makers – but not all – miscalculated and were overconfident. Perhaps “arrogance of power” would have been a better or more honest term. Were key American policymakers decent – that is, honest, lawful, and of good character during the process of intervention? Hardly. Was their other mistake one of misunderstanding (e.g. misunderstanding the nature of the war and Vietnamese goals and culture)? Yes and no. Cold War miscalculation? Yes. But some US decision-makers knew what they were getting into but were afraid of the presumed foreign and domestic consequences of getting out. And how, specifically, did the Cold War play into the matter of Vietnam? In any event, unexplained is the issue of what caused the Cold War itself. Burns and Novick introduce additional causes of US involvement as the episodes unfold. Beyond Truman’s policy of containing international Communism, the domino theory is briefly treated as a cause or reason for war in the brief Eisenhower segment of episode one. It is accompanied by an edited voice-over by Vice President Nixon stating but not explaining the importance of Indochina’s “rubber and tin” to the Asian allies of the United States. Mentioned as causes of US escalation by Kennedy in a later episode are US global prestige, crusading idealism, and presidential electoral politics. But here, as well as in subsequent episodes, the influence of Congress and rightwing, hawkish political actors are barely mentioned – except for Barry Goldwater. Highlighting the transition from Kennedy to Johnson is the claim that Kennedy’s authorization of a military coup against Ngo Dinh Diem – which was followed by Diem’s assassination – had worsened the prospects for South Vietnam’s future survival. But this is an ahistorical assertion, as well as one that has been promulgated by politicians and pundits on the right. Incredibly, Burns and Novick omitted the critical parenthetical portion of the 70 percent reason to stay in Vietnam – namely, “To avoid a humiliating US defeat (to our reputation as a counter-subversion guarantor).” Counter-subversion in government-speak was a euphemism for “counterrevolution.” Moreover, as General Gard continues talking, a photo of McNaughton’s Pentagon Papers document is shown on the TV screen, but the right-side of the page, on which the term “guarantor” should appear, is sliced off the TV screen and cannot be read by viewers (“counter-subversion guarantor” appears in other versions of McNaughton’s survey in the Pentagon Papers). In another assessment of why the US should stay in Vietnam (which is not covered in the TV documentary), McNaughton argued that “the reasons why we went into Vietnam to the present depth are now largely academic. Why we have not withdrawn from Vietnam is [for] one reason: . . . to preserve our reputation as a guarantor, and thus preserve our effectiveness in the rest of the world.” One of the problems associated with the credibility argument was that it was an abstract defense. It was not a concrete justification for the killing and dying and wasting of national resources. It was not a purpose that viscerally and palpably motivated the American citizenry. To be sure, since 1945 there had been and remained other causes or purposes of US intervention in Vietnam beyond preserving US credibility-as-a-counterrevolutionary guarantor. These included real or perceived security conflicts of interest with the USSR and China; the maintenance of a favorable balance of global power; electoral politics; crusading idealism; racism; the arrogance of power; miscalculation; militarism; the psychological and ideological idiosyncrasies of presidents and their advisers; the influence of special-interest groups and bureaucracies; and the ensnaring process of the quagmire trap. From the beginning, one of the most powerful of motives had to do with capitalist economic motives. All of the many reasons or causes of US intervention in Vietnam were of a piece: a worldview that served to encourage intervention. Once entangled and committed, the notion of credibility made it difficult to extricate the United States from Vietnam. All in all, the Burns-Novick series is a historical disappointment, because it does not make this truth clear.